The apparently irrelevant is often illuminative. You must never be afraid of remote connection. Nighttime movies on planes induce drowsiness and slumber, no matter how full of sound and fury. They are not meant to excite thought or stir intellectual considerations; with the buzz of the engines, they lull you to sleep. No mental exertion is expected or foreseeable. On rare occasions, however, it does happen. 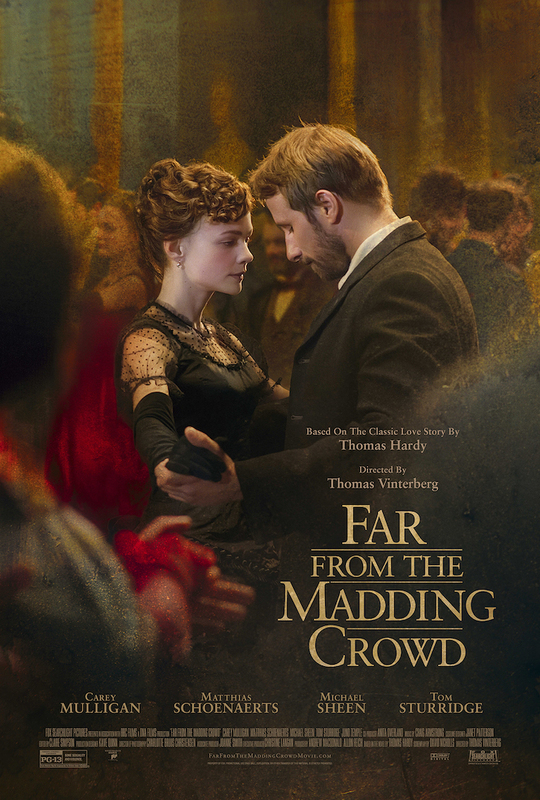 As I was recently half-watching the latest film rendition of Thomas Hardy’s Far from the Madding Crowd (2015, directed by Thomas Vinterberg), I started thinking of Jane Campion’s film version (trans-codification, experts now call it) of Henry James’s The Portrait of a Lady (1996) and was startled by a series of unexpected similarities. Nature descriptions were all right, but James had little patience or relish for them, being primarily an urban novelist—just as Baudelaire was primarily an urban poet. Hardy’s protagonist, Bathsheba, seemed to him a flirt, “of the inconsequential, wilful, mettlesome type,” indeed the type of a young lady’s “womanishness,” “alternatively vague and coarse, and . . . always artificial”; her lifetime protector and devoted suitor, Gabriel, a bit dumb in his passion, was far too good for her. James’s conclusion was devastating: “Everything human in the book strikes us as factitious and insubstantial; the only things we believe in are the sheep and the dogs. But, as we say, Hardy has gone astray very cleverly, and his superficial novel is a really curious imitation of something better.” A brilliant conceit, which leaves no room for second thoughts; and James’s judgment of Hardy’s subsequent novels would not change much with time. How can one then dream of finding, let alone establishing, connections between Bathsheba, a “rural heiress,” as James called her, and “the heiress of all the ages,” his lovely Isabel Archer, the flower of womanhood or rather ladyship, certainly not of “womanishness,” and between the two sets of characters revolving around them? Out of the question—night thoughts during a troubled flight. If Bathsheba was as James wrote, what can she have to do with Isabel as we know her? And Gabriel—Bathsheba’s first suitor and eventually, after endless complications of plot, her second husband, so devoid of passion, “static,” in Hardy’s own definition—how can he compare with any of Isabel’s choice suitors? Out of the question, again. And yet, why did I have such a strong sense of possible similarities? Owing perhaps to the nature of the film medium, so different from that of the novel, a medium that must strip characters of their psychological background and depth, or make them perceivable mainly through outside behavior and action? Movies primarily make actions visible, must make people and things stand out, in their outer impulses and exterior essence, with little of the tortuous meanderings of psychological investigation. How to represent on the screen, for instance, the soul searching of Isabel’s vigil in chapter 42 of The Portrait of a Lady? By monologues and soliloquies, mute musings, as one used to do with Shakespeare’s characters? It does not really work. James would have none of this: in the Preface to the New York Edition of The Portrait of a Lady, he insists specifically on an “independence of flood and field, of the moving accident, of battle, murder and sudden death.” Maximum intensity is to be reached with a minimum of strain; what’s important is the inward life of his heroine, whose consciousness and “motionless seeing” are placed at the center of the subject and whose “meditative vigil” makes the action progress more than twenty “incidents.” So, coincidences and similarities are to be pursued in detail as they show (or loomed while I slumbered with open eyes?) in the essentials of the two novels’ outer plots and characterization. In both novels we have a central young woman “affronting her destiny,” as James wrote in the Preface to his novel, and indeed shaping it with an equal amount of openness to life, wilfulness, blindness and blunders. Bathsheba and Isabel are on different social levels—one rural, the other essentially urban and upper-middle class, verging on aristoc­racy—but both are originally poor and “made free” by an inheri­tance that will expose them to dangerous seas and make them approach disaster. The second marriage and the happy ending of Hardy’s heroine are required by the genre of his novel, while Isabel’s obstinate refusal of a way out from her troubled and oppressive marriage is due to her adherence to a code of ladylike behavior, to James’s refusal of spectac­ular conclusions, and to his preference—as he mentioned in his Notebooks—for leaving the story en l’air. Characteristically—in both senses of the word—both heroines are partially, but heavily, responsible for their troubles (redeemable, in the case of Bathsheba, inescapable, in the case of Isabel). Both have three suitors (three and a half, in the case of Isabel, if we add the love of Ralph, her adoring cousin, which is deemed impossible on account of his bad health and will be confessed only on his deathbed). This is made physically even too evident in Jane Campion’s movie of The Portrait of a Lady, right at the beginning, when the three suitors are exposed to and entwined with her. James, I believe, would have been slightly shocked. Both heroines fly in the face of relatives and friends who warn or try to prevent them; wanting to be independent in their choices, they end by being chosen rather than choosing, persevering with a degree of blindness in whimsical paths, partially motivated by self-will and self-esteem. Young Bathsheba is declared too wild to become a governess and must be tamed; she is a “headstrong” rustic who “speaks like a lady,” “a queen among those gods of the fallow”; she is later charged with pride and vanity but also acknowledged to be “no schemer or trifler” and no flirt (openly refuting James’s characterization). “I hate to be thought man’s property in that way,” she declares of marriage, and rides a horse “perpendicularly,” not as woman should in those days. At the start, Isabel is also a poor relation, from a family in distress and disarray, rescued by a wealthy aunt from obscurity; an “original,” “intelligent but presumptuous,” liable to the sin of self-esteem, independent but blind in her choice. Both are raised from (relative) poverty by an inheritance (a fortui­tous inheritance, in Hardy, a contrived one by Ralph, in James), and defenseless against guile and deceit. Bathsheba has the power of “believing cajoleries that she knows to be false . . . being utterly sceptical on strictures that she knows to be true.” Her seeing embellishments, but not deformities, is also true of Isabel. Becoming a good and wealthy “woman farmer,” the first will be drawn into a series of vagaries and unfortunate events (“I have never been free from trouble since I have lived here,” i.e., after the inheritance, she avers); becoming an heiress will be the direct cause of Isabel’s entrapment, of which Ralph and his father (“the beneficent author of infinite woe!”) painfully regret being the unwilling originators. She is totally blind to the interested “love” her money will raise, and to the conspiracy of which she is a victim. Both are made to choose among three suitors, whose characteristics (and a couple of names) strangely mirror each other and interweave in the two novels. 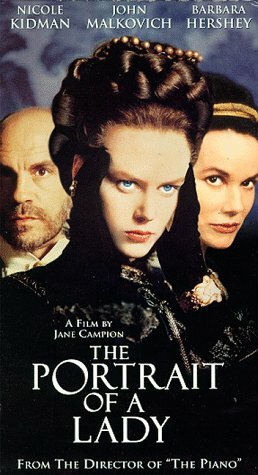 Isabel rejects a British lord, shies away from a homespun and vibrant American entrepreneur by the name of Caspar Goodwood, is unprepared for or insensible to her cousin Ralph’s silent adoration, falling for the expatriate, Italianate American Gilbert Osmond, a compendium of self-interest, false pretences, treachery, and callousness. Both heroines compare and discuss their suitors with their “protectors,” to no avail. The former has a faithful, even too good and patient guardian angel, the shepherd Gabriel Oak, who nurses his rejected love and plays a similar role to that of Ralph in providing generous and unflinching support, though his type is more like Goodwood’s: their names also correspond (Oak, Goodwood). Bathsheba, too, has an “aristocratic” suitor, the gentleman-farmer Boldwood (the names intersect again), who represents the wealth and “refinement” of the gentry, the closest we can come to aristocracy in the world of Far from the Madding Crowd—he has an imposing house, horses, and is “courted by sixes and sevens”—whose passion and persistent courtship are wildly stirred (as for persistence: Lord Warburton, too, will reappear toward the end of The Portrait of a Lady to woo Isabel’s stepdaughter, possibly to be close to her unhappy stepmother). Both heroines fall in due course for the most improbable, unadvisable and dangerous suitor. Bathsheba for Sergeant Troy, irresistibly “dazzled by brass and scarlet” (his military uniform and dash). Quite interestingly for the case, Troy is, like Osmond, of mixed origin, possibly the illegitimate son of an earl or a French nobleman, a clever young dandy, a “handsome stranger who had seen better days”: he, too, is outlandish, an alien and an interloper to the more established set of characters. He speaks foreign languages, is more refined, elegant, and persuasive than an army sergeant, and a “sort of steady man in a wild way,” still in love and entangled with another young woman, to whom he is sentimentally more faithful and gallant than to his wife (this will cause endless complications and unhappiness). Osmond, instead, will keep his shady side and dealings all to himself and hidden to the end and will be indifferent to his former mistress, Mme. Merle—though one must note the coincidence that both Troy and Osmond are fathers of a child by another woman. Given their totally different milieus and social levels, Troy exerts for Bathsheba the same kind of attraction as Osmond for Isabel, but is not perfidious and cruel like him; though prone to guiles and later a “trickster,” he can be generous and passionate in his impulses. We recall how Isabel rationalizes her choice of Osmond: “Who and what [is he]? Nobody and nothing . . . He’s not in business . . . He’s not rich; he’s not known for anything in particular . . . He comes from nowhere . . . He has no profession”; “I’m marrying a perfect nonentity,” she admits to Goodwood; and to Ralph: “Mr. Osmond has never scrambled nor struggled—he has cared for no worldly prize”; he has “no property, no title, no honours, no houses, nor lands, nor position, nor reputation, nor brilliant belongings of any sort. It’s the total absence of all these things that pleases me” (my italics). She is going to replenish that emptiness: she has “fortunately money enough” and “would launch his boat for him; she would be his providence” (only at the end does Isabel realize that she has been his worldly prize). Both, of course, fail. Their marriages bring a “capitulation” (the word used by Bathsheba), a loss of independence and freedom; for Isabel, it seems almost a complete surrender. They are “caught” and “put in a cage” (as Ralph had foreseen); Bathsheba is “like a caged leopard”; she “had been proud of her position as a woman”; now her perception “was rather that of self-sacrifice than of promotion and honour.” Both are deprived of, specifically, their greatest aspiration: deciding for themselves, and experience “spoliation” by marriage (again, the word used by Bathsheba). She suffers, as Isabel, from what Hardy calls an “eclipse of maternity by another”; her rival Fanny dies with child, while, having lost her own child, Isabel finds in Osmond’s daughter a kind of substitute. One is deserted, the other demeaned by her husband. Isabel will no longer “be soaring far up in the blue . . . sailing in the bright light, over the heads of men”; the “free, keen girl had become quite another person.” “You wanted to look at life for yourself—but you were not allowed,” Ralph tells her agonizingly, “You were ground in the very mill of the conventional” (an image also used in the Preface), so that she “wondered if she were not . . . reaching out for some aftertaste of life, dregs of the banquet.” This is the taste both heroines will have to experience, after their ill-advised marriages. Bathsheba will no longer be mistress and roam in her realm, she will stay home even in the face of Troy’s reported death. Both find themselves in a dark alley. Isabel “had suddenly found the infinite vista of a multiplied life to be a dark, narrow alley,” leading “into realms of restriction and depression” (the house of darkness, of dumbness, of suffocation), while Bathsheba “drew herself and her future in colours that no reality could exceed in darkness.” How they react allows for further similarities. What in Bathsheba is an instinctive, “popular” reaction, mindful of social consequences, in Isabel becomes an almost theoretical motivation. To be a lady, and to justify both her allure and the title of the novel, Isabel will accept her mistake as a point of honor and make sure that no one will know of her misery—almost to the extreme of self-punishment and mystification. She does not want to be scrutinized (indeed, she will become “inscrutable”), and “I shall never complain of my trouble to you!,” she had told Ralph. At the end of her vigil she owns that “it seemed to her an act of devotion to conceal her misery from him. She concealed it elaborately; she was perpetually, in their talk, hanging out curtains and arranging screens. . . . She didn’t wish him to have the pain of knowing she was unhappy; that was the great thing.” “I can’t publish my mistake,” she tells her friend Henrietta; “You conceal everything,” Goodwood complains. She looks at her gloomy future in Rome with her alienated and cruel husband as a duty and, in an almost Puritanical way, as the wages for her starting sin of self-assurance. It is the fate of a “lady”: discretion and silent suffering. Noblesse oblige. She even refuses the idea of having been ensnared: “There had been no plot, no snare; she had looked and considered and chosen. When a woman had made such a mistake, there was only one way to repair it—just immensely (oh, with the highest grandeur!) to accept it. One folly was enough, especially when it was to last for ever; a second one would not much set it off”; “just immensely (oh, with the highest grandeur! )” was added in the revised New York Edition. She is neither passionate nor “womanish” as Bathsheba is depicted; hence, the final diverging of their ends. The former finally marries her faithful guardian angel, Gabriel Oak, with respect nor devoid of mature attraction; Isabel shies away from Goodwood’s “terrifying” kiss and offer of escape and happiness together. “She should never escape; she should last to the end.” She will stay where she put herself, far from the madding crowd’s ignoble strife (the title of Hardy’s novel is taken from this line in stanza xix of Thomas Gray’s “Elegy Written in a Country Churchyard”). She will not admit, accept, or indulge in an ignoble strife within or outside her walls. Stripped of its flesh and psychological complexities—as happens in movies—the skeleton of the two plots and the set-up of the two sets of characters lead to such considerations. Or is it that in the half-slumber induced by night movies on a plane, one sees strange bedfellows? Comment from the Autumn 2016 issue.